Replace your dirty worn-out NBX handset and cord with a new set making your NBX phone look and sound new again. 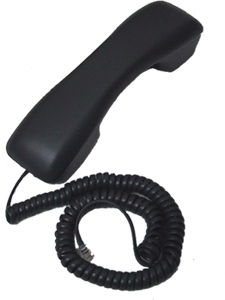 This phone handset and cord will work on the all NBX phone models. Including but not limited to the following models: 1102, 1102B, 1102PE, 2101, 2101B, 2101PE, 2102, 2102B, 2102PE, 3101, 3101A, 3101B, 3101SPKRA, 3101SPKRB, 3102, 3102A, 3102B, 3102C, 3103, 3103A, 3103B. 6 Foot Curly Cord and handset included.